Primark has applied for planning permission from the City of Brussels to expand its Rue Neuve store by taking over the former Hema shop next door. The Irish low-cost clothing chain hopes to add 1,000m² to its surface area by knocking through into the neighbouring retail unit. Hema left Rue Neuve late last year to set up in the newly opened The Mint shopping centre at Place de la Monnaie. A public inquiry on the change runs until 9 March. If approved, Primark's surface area will increase to 3,600m² - allowing the store to introduce a children's department. Alain Berlinblau, president of the local traders' association said: "This is not the direction we want Rue Neuve to go in - it does not represent a positive contribution to the street. We want more upscale shops. Low-cost stores attract people in high numbers, but not a new clientele." The architects behind the project say the merger makes sense, because the two units were originally one. The building used to be occupied by Marks and Spencer during its first spell in Brussels from 1975 to 2001. 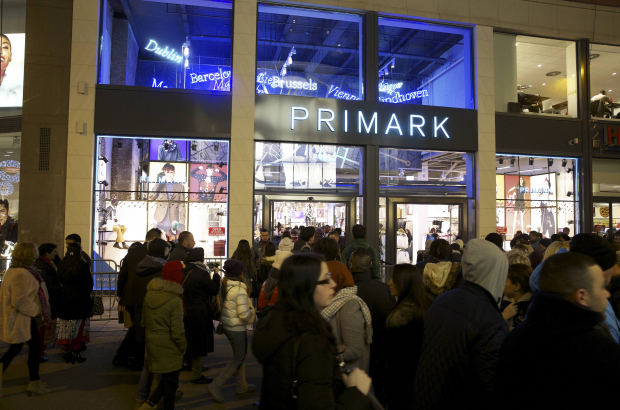 A crowd of about 2,000 bargain-hunters lined up for Primark's opening on Rue Neuve in 2014. A second Brussels store is expected to open on Chaussée d'Ixelles later this year. Primer is a great and a leading brand in cloths, it always provides new range and new fashion to its customers. It has great range for men, women and also for children. Many of their products are mentioned in the bestessays on the internet. I like its T-shirts and baby products the most. Now it is expanding its Business in the Mint shopping center. I appreciate this step as the brand deserve it.